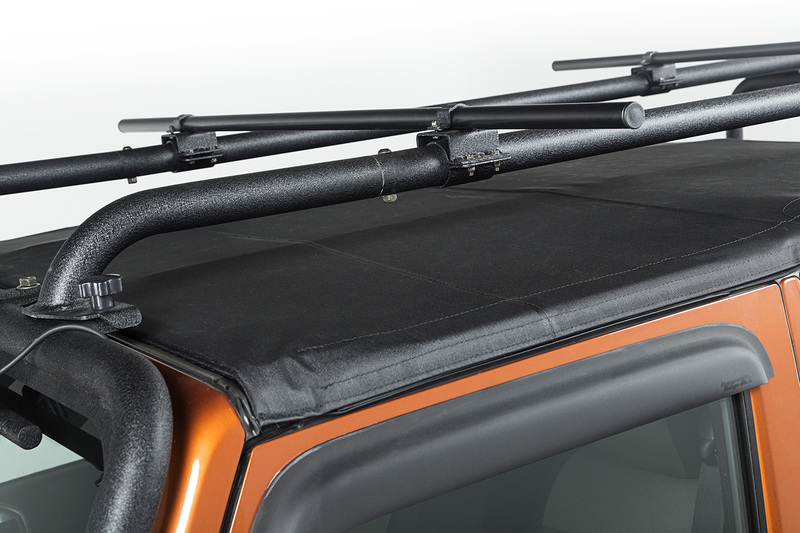 This pair of round 56.5 Inch crossbar tubes fit the Rugged Ridge Sherpa roof rack and allows you to attach your favorite aftermarket accessories including bike racks, kayak racks, and canoes from Yakima, and other aftermarket outlets . Now you have everything you need to hit the trails! Features a strong steel construction with a black powder-coated finish.